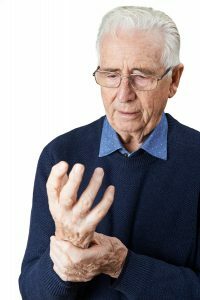 Over 50 million people have arthritis. There are over 100 types of arthritis, but the main two are osteoarthritis and rheumatoid arthritis. Rheumatoid arthritis is an auto immune disease but osteoarthritis (also known as the “wear and tear” disease) is a degenerative disease. 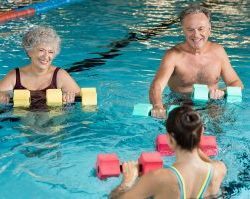 When designing an exercise program for an arthritic condition there are a number of issues to be considered. 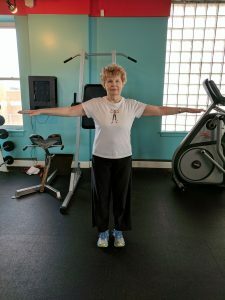 A person’s tolerance levels to exercise, their range of motion as well as equipment and/or facilities available for exercising. 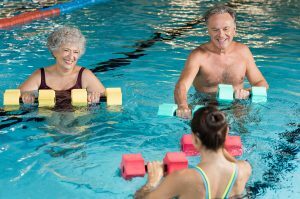 Workouts in water (walking, fitness classes, swimming) are always recommended as well as designing range of motion movements into any program you use. 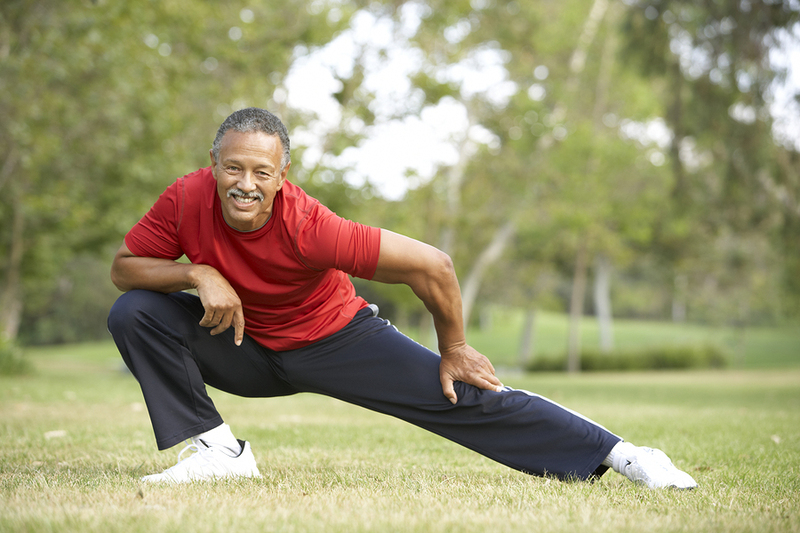 If joints are swollen, red or painful avoid exercising that joint. If there is cervical instability in the neck due to rheumatoid arthritis you should avoid strengthening and flexibility exercises of the neck. Improve range of motion, increase strength, increase cardiovascular endurance, increase joint stability. 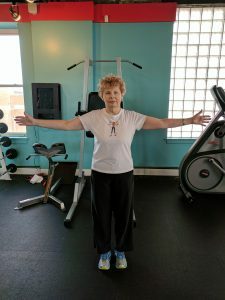 The best description I ever heard of exercising with arthritis was “It hurts if you do it, but it hurts worse if you don’t do it.” Pain tolerance is a personal issue, but finding the right amount of exercise movement and intensity can make a huge difference in quality of life. 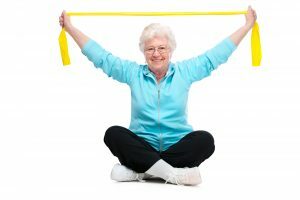 The key to exercising with arthritis is warming up. Warming up will help loosing up the joints. Click on the warming up tab for some ideas on how to warm up. The warming up and exercise ideas are only suggestions. 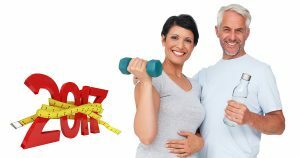 Exercise intensity is is dependent on how you feel and other health conditions you may have. Consult your personal trainer for the best techniques for your situation. Open and close arm swings. With arms extended (palms facing each other) open and close the arms. Arms should extend to the sides of your body and then back to the start position. This can also be done in the lateral position. Start with arms at your sides (palms inward), raise arms (palms down) no higher than parallel to your shoulder height. Keep you shoulder blades gently together (squeezed) as your arms go up and down. Take a compress and fill it with warm water. 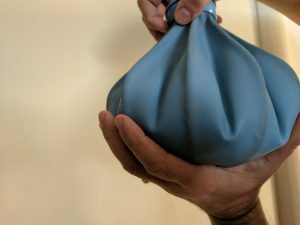 It should be hot enough for you to feel the heat coming through the material, but not to hot to be uncomfortable to hold or damage the compress. Fill the compress 3/4 of the way up. Hold the compress in the palm of your hand, it should expand enough that you fingers are extended. 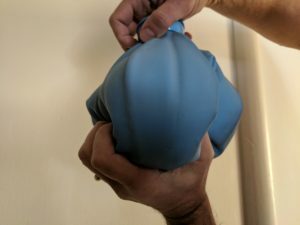 Gently squeeze the compress back and forth. You can choose how much range of motion you can tolerate. Between the heat of the water and the joint movement, this should help loosen up your fingers. Another option is can also put you hand in a large bowl with warm water and open and close your fingers to help loosen them up. While seated in a chair and feet in front lift your heels up and down (seated calf raises). 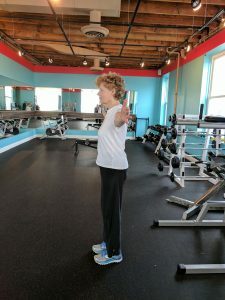 With heels in same position as the first exercise, lift toes up and move to one side, back to center and then the other side. 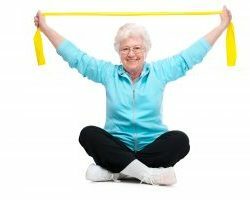 Bands – The greatest advantage bands have for someone with arthritis is that bands have no negative resistance. 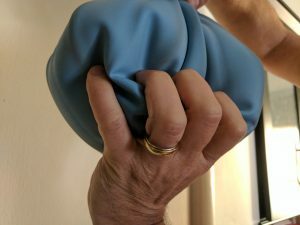 When you contract a muscle using a free weight or machine weight (lets use an arm curl as an example) the muscle contracts as you do the arm curl; as you release the weight, the tension on the muscle and tendons is constant; and the negative movement (lowering the weight) engages the tendons much more than on the way up. (Tendons attach to the bone joint and the muscle). 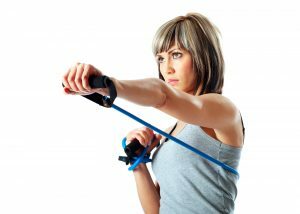 When exercising with a band, there is resistance as you curl the weight, but a band has no resistance as you release the weight; basically bands are “tendon friendly” (in terms of resistance), compared to weights.